Situated in Manchester, this spa hotel is close to American Museum of Fly Fishing, Orvis Fly Fishing, and Equinox Preservation Trust. 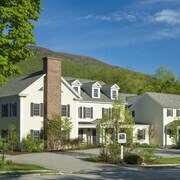 Also nearby are Southern Vermont Arts Center and Manchester Designer Outlets. 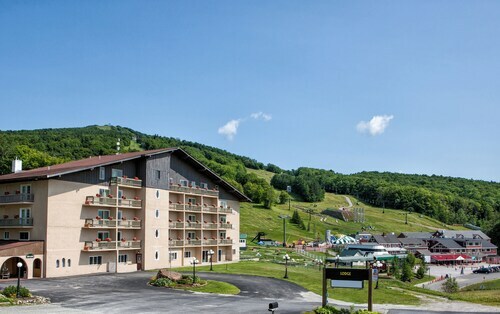 Located near the slopes, this Stratton resort is in the mountains, within 1 mi (2 km) of Stratton Mountain Summit Gondola and Stratton Mountain Resort, and close to winter sports such as skiing lessons. Stratton Mountain Golf Course is 1.3 mi (2.1 km) away. 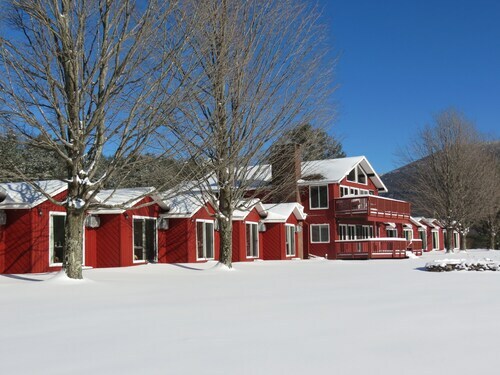 Located in the mountains, this Peru hotel offering ski-in/ski-out access is 0.2 mi (0.3 km) from Bromley Mountain Ski Resort and within 9 mi (15 km) of Manchester Designer Outlets and Orvis Fly Fishing. Dana L. Thompson Memorial Park and Lye Brook Falls are also within 9 mi (15 km). 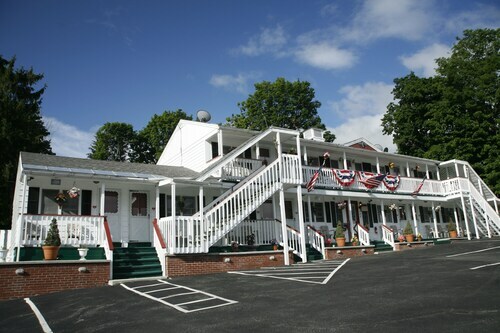 Located in the heart of Manchester Center, this golf hotel is within a 15-minute walk of Gander Gallery and Manchester Designer Outlets. Dana L. Thompson Memorial Park and Orvis Fly Fishing are also within 2 mi (3 km). 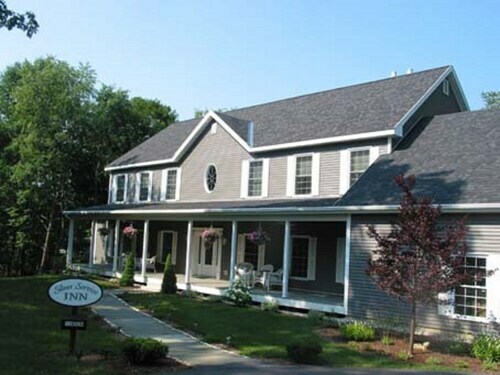 Situated in the mountains, this bed & breakfast is 0.8 mi (1.3 km) from Mount Snow and 2.4 mi (3.9 km) from Mount Snow Golf Course. Adams Family Farm and The Hermitage Golf Club are also within 6 mi (10 km). 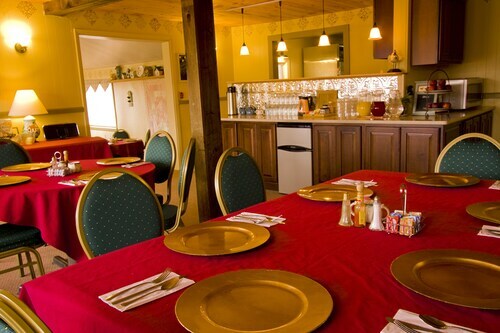 Situated in Bondville, this bed & breakfast is within 9 mi (15 km) of Bromley Mountain Ski Resort, Stratton Mountain Resort, and Jamaica State Park. Stratton Mountain Golf Course and Gander Gallery are also within 9 mi (15 km). 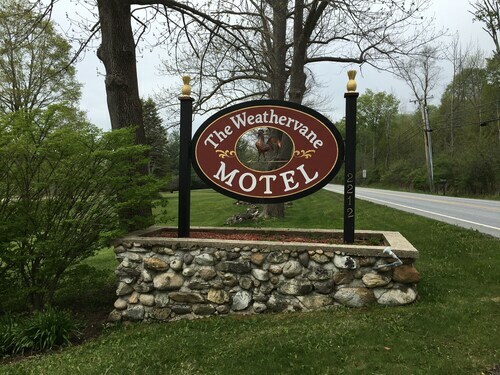 Situated in the mountains, this bed & breakfast is 0.6 mi (0.9 km) from Mount Equinox and within 6 mi (10 km) of Norman Rockwell Exhibition and Equinox Preservation Trust. Hildene and American Museum of Fly Fishing are also within 6 mi (10 km). 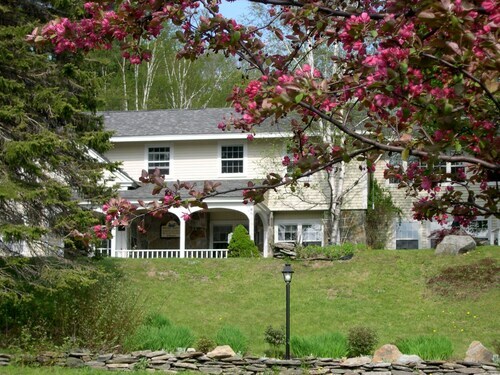 Situated in West Dover, this bed & breakfast is 1.1 mi (1.7 km) from Mount Snow Golf Course and within 6 mi (10 km) of Mount Snow and Adams Family Farm. Jim McGrath Gallery and Studio and The Hermitage Golf Club are also within 9 mi (15 km). 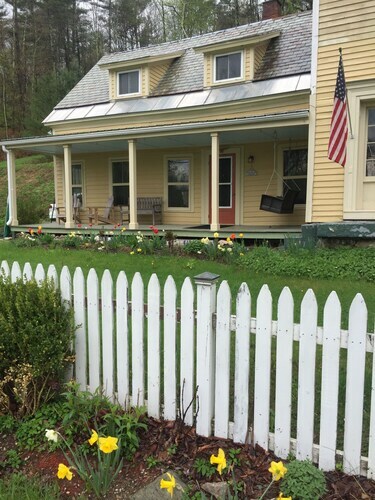 Situated on a river, this bed & breakfast is 0.5 mi (0.8 km) from Mount Equinox and within 6 mi (10 km) of Hildene and Orvis Fly Fishing. 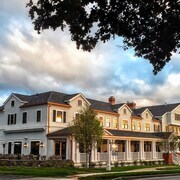 Southern Vermont Arts Center and Manchester Designer Outlets are also within 6 mi (10 km). 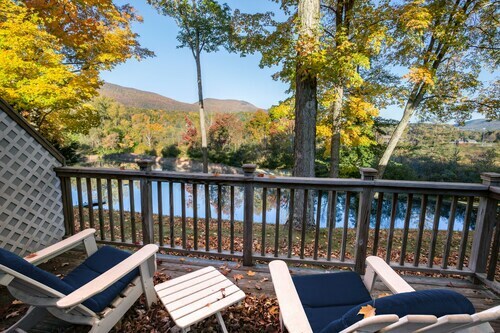 Located near the slopes, this Stratton condo resort is in the mountains, within 1 mi (2 km) of Stratton Mountain Summit Gondola and Stratton Mountain Resort, and close to winter sports such as sledding. Stratton Mountain Golf Course is 1.3 mi (2.1 km) away. 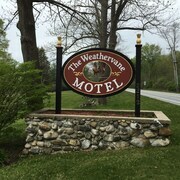 Situated in a rural location, this bed & breakfast is 0.8 mi (1.3 km) from Mount Equinox and 2.2 mi (3.6 km) from Norman Rockwell Exhibition. 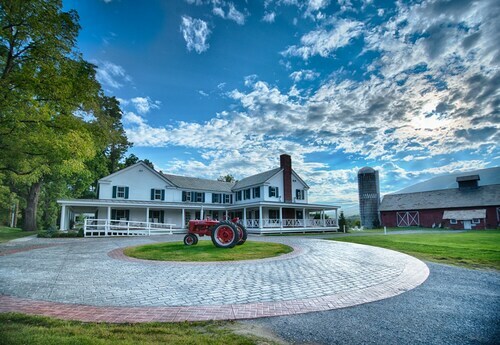 Equinox Preservation Trust and Hildene are also within 6 mi (10 km). 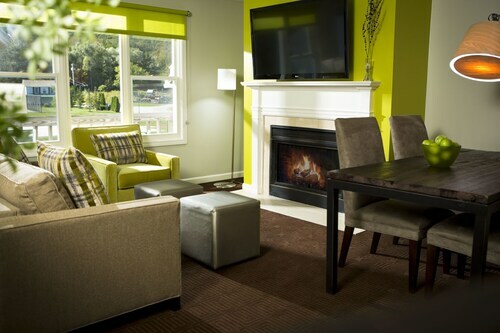 Situated in a rural location, this bed & breakfast is within 3 mi (5 km) of Gander Gallery, Manchester Designer Outlets, and Dana L. Thompson Memorial Park. Orvis Fly Fishing and American Museum of Fly Fishing are also within 3 mi (5 km). You can find 3 star hotels in Manchester that keep you close to all the great sightseeing and activities around the area, or even book a place that’s a bit more secluded, if that’s what you prefer. No matter what you’re looking for—whether you’re all about the location or are invested in on-site perks--Travelocity will help you find the accommodation that works best for you. When it comes to options, you’ll have them. The Manchester 3 star hotels give you plenty of choices as far as access to the best areas, and many also offer a breakfast buffet, as well as plenty of other amenities like high-speed Wi-Fi and an on-site pool or spa. Whatever you’re looking for on your next getaway, browse Travelocity’s big selection of hotels to ensure you get the best possible deal. Book one of the best 3 star hotels in Manchester today! Fantastic location and view. Excellent breakfast. Low-key. Most of all, the owners were so nice and accommodating and made our stay delightful. The property is spectacular, the food was outstanding, and the service impeccable. The manager, his wife, and their son were really welcoming and helpful. I cant believe that Manchester zoning and fire codes allow this place to operate. No smoke alarms, no sprinkler system, no visible fire extinguisher, no posted exit signs, etc. And give that I'm 82, no grab bars in the bathroom near the toilet or in the shower. Finally, I got trapped when the entry locket did not work when I returned after the office was closed. 2 months ago by A verified traveler from Vt. Perfect Reunion House: ski Bromley/stratton. Sleep 18, 8 Bedrooms, 5 Bath. Dogs!